Social media was once considered as a trend, but today it has become a major tool to interact with friends, remain connected and promote business. With more than 52% of the population using at least one social platform, it is a great means to interact with businesses and brands. Social media and content go hand in hand and to attain success in your marketing plans, both are equally necessary. So, while taking a look at the broader picture, it is seen that both content and social media holds great importance in digital marketing strategy. When we make plans to used content in social media, it comes in various forms like sharing a blog post, an image with some content, an infographic, a video or etc. Even while twitting, what we write can be classed as content. The prime aim of writing fresh, relevant and attractive content is to engage the audience with the objective of helping them take beneficial consumer action. So, whatever be your medium of marketing, creating attractive content that is optimized for the audience remains indispensable. While writing blogs or articles, it is very important that you have proper knowledge on the chosen subject. This, of course, needs some level of expertise and you can consider an authority if you have an active command of the subject. For example, if you offer SEO services, then writing something that is appropriate for the general people who are likely to check your content will help. Such informative articles or blogs when presented through social media gains publicity and help in branding. Original content in social media will help you set apart from the general masses. When you are making plans to enhance the online presence of your business, then always remember that your end user or potential customer is your most important audience. Since each industry has different needs, marketing requires a varied approach that uses social media outlets to keep the customers engaged. Offering quality content on a regular basis helps to establish your reputation and a consistent effort to publish quality content will help your market eventually notice you. Any strategies of social media marketing always revolve around sharing various types of content that include text, videos, images. Without good content, you don’t have anything to give to your potential customers. Your customers are always in search of information about products and services that you have to offer. And when you have attractive and informative content used for social media, it helps to attract more audience to your website and boosts lead generation and ultimately sales. High quality and relevant content is, of course, a long-term strategy that enables you to boost your search engine rankings and improves your brand awareness and quality of your website. Combining content strategy with your click advertising helps to create a hybrid digital marketing campaign. This is a win-win situation. Good and targeted content, when used for paid or free advertising campaigns, allow you to capitalize on your marketing strategy while waiting for the major search engines to catch up and delivering those search results. Well, optimized content when posted on social platforms increase the views and shares. While sharing content on social channels, it is important to remember to utilize the customized posting features of social media platform. You can update the headline, description, and image and this makes a difference. There is immense potential in social media and appropriate content can help leverage on the platform as more and more people will view and share the information. Though it is difficult to exactly specify what content is for social media, we can surely say that it is something more than just a piece of writing. Since what one person may find successful may not work for someone else. A simple blog or tweet isn’t enough. And if you have plans to be successful in social media, then your content needs to be thoroughly optimized for social networks. Interesting content can take varied forms, what you think interesting should also be interesting to your audience. In brief, it is important to find the content that speaks to you, something that your audience likes and share and content that ultimately delivers the results that you seek. What will happen to your social media efforts without an effective content? Your accounts will also not grow. Thus, in a nutshell, we can say that in this ever-changing social media environment, content will always play a crucial role to increase brand visibility and drive engagement to reach out to a wider audience base. 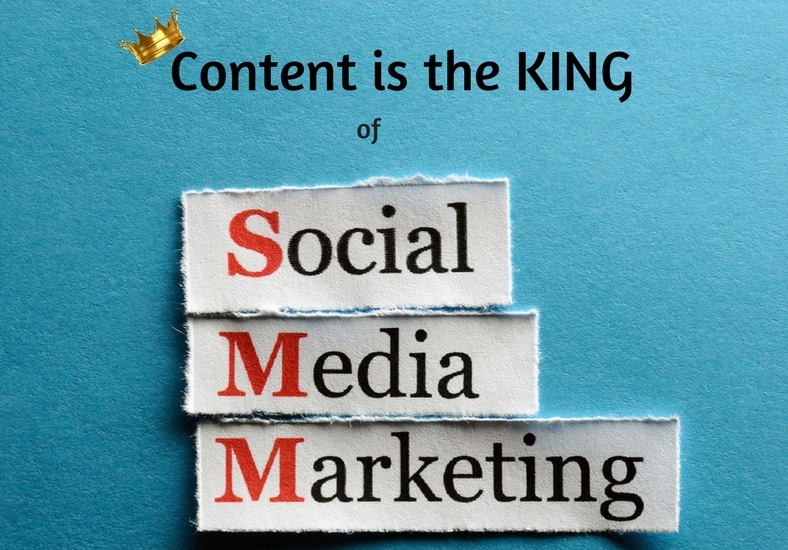 Looking forward to becoming an expert in content writing for Social Media Marketing? Then join the best digital marketing training institute which will open up great career opportunities and contribute to a stable and lucrative job. Enquire Now! Call us today on 9870486335/ 0120 4260552 or email us at [email protected] and get your queries and doubts cleared!